Posted on October 2, 2018 October 2, 2018 Author Michelle PearseCategories Meetings & Events, Member NewsLeave a comment on Announcing the LLNE Listening Tour! Robert DeFabrizio wants to hear from you! The LLNE Logo Design Contest has extended its deadline! New submission date is May 22, 2018. The Law Librarians of New England seek a new logo and we are thrilled to find the artistic talent within our membership or someone sponsored by one of our members! Don’t be shy and submit a unique design to the contest. For a complete list of the contest’s RULES, please see the LLNE Design Contest Rules. On June 26th, the Reporter of Judicial Decisions for Massachusetts held a listening session for stakeholders to voice concerns about the possibility of decisions from the Massachusetts Appeals Court and Massachusetts Supreme Judicial Court to an online format. Various LLNE members attended the meeting and LLNE Vice-President/President-Elect Ellen Frentzen spoke on behalf of LLNE. You can check out a copy of the formal letter . LLNE member and past president Kyle Courtney has won a Knight grant for his program, “Can I Fair Use It? Crowdsourcing Fair Use Knowledge.” Kyle is very excited to be working with the Harvard Law Library’s Innovation Lab and argues that libraries should own the fair use issue in the 21st century. The goal of Kyle’s program is “Enabling people to share information on questions of copyright and fair use by exploring existing gaps and opportunities, and testing a new approach for libraries to connect patrons with subject experts.” Congratulations Kyle! 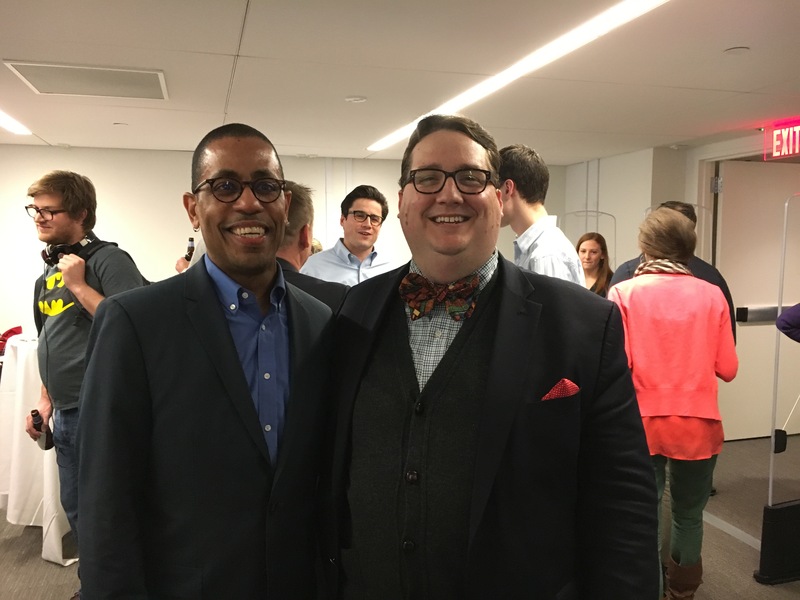 The Boston University School of Law Library held an event to welcome Ron Wheeler, the new director, on March 23rd. Kyle Courtney joined to help celebrate as Ron met with students, staff, and faculty to introduce himself and his vision for the library. The January 2016 issue of the AALL E-Newsletter announced the participants for this year’s AALL Leadership Academy. AALL’s Leadership Academy is an opportunity for newer and aspiring members of the profession to develop and learn from experts and each other essential skills for effective leadership such as communication, collaboration, leadership versus management, and more. Through a series of assessments, focused conversations, group activities, and networking opportunities, these aspiring newer members will develop these skills and add colleagues from around the nation to their expanding network of professional connections. Congratulations to Anna, Anne, Cate, Claire, and Nicole! Watch this space and other LLNE communications media for a view into the leadership academy from our participating members. Bob DeFabrizio, LLNE member and Co-Director of Education also testified in his capacity as President of the Association of Boston Law Librarians (ABLL). AALL also submitted testimony which is available on the AALL website. A list of people registered to speak at the hearing and a list of the members of the Trial Court Public Access to Court Records Committee also appear on our website.